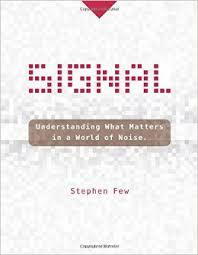 "In Signal, I provide straightforward and practical instruction in everyday signal detection. Using data visualization methods, I teach how you can apply statistics to gain a comprehensive understanding of your data, which will serve as the context for signal detection. I then adapt the techniques of Statistical Process Control in new ways to detect not just changes in the measures but also significant changes in the patterns that characterize your data..."